Announcement: Vibewire’s commitment to young women in leadership, Laura Rojas is appointed as Vibewire’s new Executive Director. Youth-led and youth run not-for-profit, Vibewire has announced, the next-gen leader, Laura Rojas as Executive Director on International Women’s Day. As an organization, Vibewire acts as platform to support and advocate young people to think differently. Vibewire backs young people as the change makers of tomorrow through skills workshops, open-forum talks, social impact hackathons, and a long standing creative and tech coworking space for under 30s. With Laura’s background in technology and business, and a keen interest and understanding of the startup ecosystem in Sydney, she is well placed to build on Vibewire’s almost 20 year history as a youth-oriented social and creative innovator. Hitting the ground running, Laura and the board are busy in planning mode to deliver another rich year of social and creative impact innovation. Vibewire’s second social impact hackathon of the year will be held in May, 2018 – with a focus on “financial inclusion”. “It feels apt that on International Women’s Day Vibewire appoints a young woman in a leadership role – one who will help create a new future for women and young people across New South Wales. We look forward to working with and supporting Laura and the team in the years ahead”, says Vibewire President, Gavin Heaton. At Vibewire, we’re not your average co-working space, incubator or accelerator. We are a skills gym that makes young people ‘enterprise’ fit. Whether you’re an artist, freelancer, working in a startup or a corporate – you’ve noticed the world is changing rapidly around us. We’re backing young people as the future makers driving this change. We know to get things right, you usually need to get it wrong first. In the results driven world of business and study, you’re often marked against your abilities. There’s not always a space and community where you can experiment and learn, fail safe and push boundaries. That’s what we’re all about – exercising your brain through an intensive program with real project briefs, expert coaches and our inspiring members. We do through through 4 workout sessions – Soapbox Club, Dollar Dollar Bill, Hack-A-Thing and Start Up Sundays – as a part of our Skills Gym. This week, we interviewed #PitchTheFuture winner, Laura Loonstein from BuzzyTV. Since winning the pitch competition which was held as part of the Vivid Sydney Festival of Ideas, Laura has ensconced herself in the Common Room co-working space, getting to know the other startups and getting down to the work of serious games. There is no doubt that our cities are under pressure. From 2006 to 2016, Sydney’s population has risen 18% – from 3.9 million people to 4.7 million. That’s 730,000 new people in a decade. Yet despite 26 years of continuous economic growth, our populations are finding themselves without one of the necessities of life – shelter. Homelessness is an ongoing challenge that we have yet to adequately solve. New South Wales is not only the economic powerhouse of the country, it also has the highest rates of homelessness. A third of homelessness results from domestic violence and relationship issues, a third results from accommodation issues and 22% of people find themselves homeless due to financial difficulties. Data from the City of Sydney indicates that young people are disproportionately represented in these figures, with up to 71% of young homeless people sleeping rough, rather than couch surfing or staying in crisis accommodation. 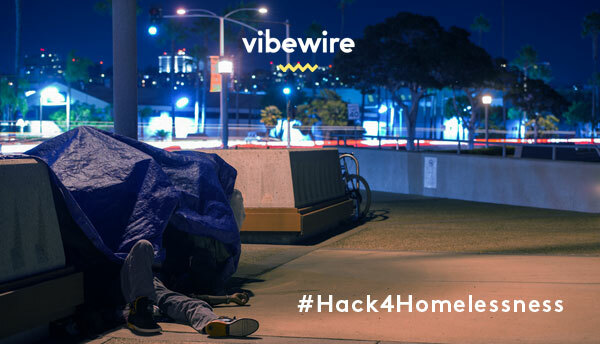 In September, Vibewire is hosting the first of our social impact hackathons for 2017. We are bringing the startup and innovation tools and technologies, design thinking approaches and a commitment to co-design and collaboration to the challenge of homelessness. We call it a “hack4homelessness”. We are taking this approach because we need to break the cycle. We need to get ahead of this growing problem, and we feel we can no longer wait for someone else to solve this problem. We need to act. Our #Hack4Homelessness will be a weekend where the best and brightest minds work hand-in-hand with people who are, or who have lived with homelessness, and organisations and individuals dedicated to solving this challenge. But we know we can’t do this alone. We need your help, support and insight. We need your commitment and energy. You can learn more – and register your interest here. We aim to help solve the social, technical, cultural and behavioural challenges of homelessness. Put 15-17 September 2017 in your diary and join us to tackle this challenge head-on. Together we can make a difference.